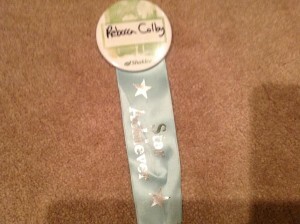 I had the BEST time in Chicago recently at the Shaklee Spring Regional meeting! All Shaklee conferences feel like a family reunion to me. It’s so much fun reconnecting with friends, teammates and also meeting new people! Shaklee people are truly unique, full of energy and so nice and fun to be around. We share information openly learn together. Clint McKinley from the corporate office pointed out that as we look around the room, there are people from all ages (late teens through 80s! 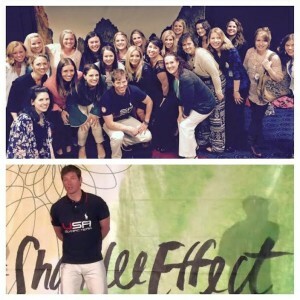 ), men and women, married and single, people with kids (and some with little babies at the conference) and people without kids, people of all different ethnic backgrounds,…basically there is no one type of person you see at a Shaklee conference! Which means that we are a diverse group and Shaklee can fit into everyone’s life in some way whether it be from a product or business standpoint. Or both! 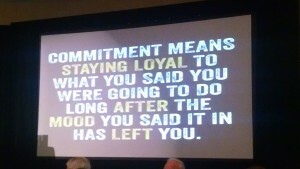 There were over 500 people at this regional meeting and the speakers were fantastic! I was recognized as a Star Achiever, which was really great because I got to attend a special VIP reception on Friday night and a special sit down lunch with Dr. Daggy on Saturday! 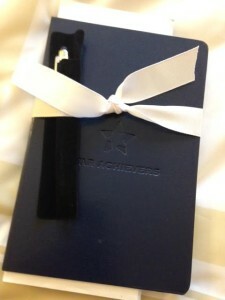 Shaklee gave me this really nice Star Achiever journal and stylus pen as a little gift. I was a star achiever for my rank advancement and for the growth I have had in my business in recent months. Two of the girls from our team were able to join me in Chicago and we had the best time! 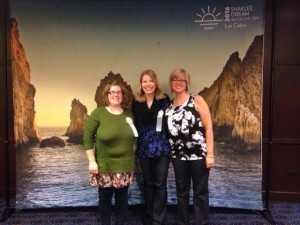 And there were several of us there from the corporate Shaklee moms group! Here we are with Olympian, Kris Freeman, who has won several olympic medals. He also has beaten the odds as a Type 1 diabetic who doctors said would never be able to compete at the high level he does. 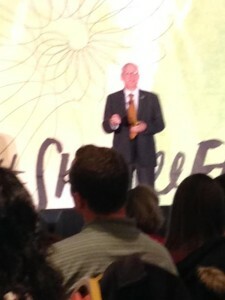 He spoke on Saturday about how Shaklee is a brand he uses and trusts and has helped with his training and performance. There are many companies out there but he knows that with Shaklee, he doesn’t have to worry about a substance showing up in his drug tests that would cause him to not be able to compete. It’s always great to hear Dr. Daggy speak about the science and studies that are behind Shaklee’s many products. We are so fortunate to have his expertise in our company. He shared about some studies that are in the works with eye health. Being married to a research scientist, this kind of stuff always peaks my interest. Dr. Daggy pointed out that not many companies do quality science and Shaklee just opened the new research and development facility in Pleasanton. He shared how they are one of the few companies to have a facility like this with the quality scientists and research that we have. This costs money and many companies do not make that investment into their products. That’s why with every Shaklee product you know it to be always safe, always works and always green! 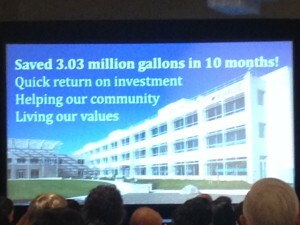 Shaklee’s headquarters are in the bay area of California. You may know that California is in a very serious drought right now. I was proud to see what Shaklee is doing to help conserve water and was recently recognized by the town of Pleasanton for their efforts. 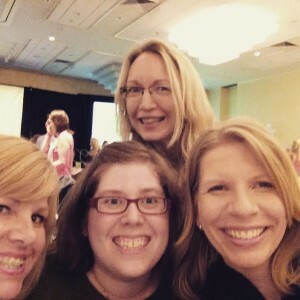 I had so much fun with my friends at this conference and didn’t take enough pictures to show you! It all went too fast. Here’s one of my favorites with some of my favorite people. Our themes were around the two awesome trips coming next year. One to Los Cabos and one to Italy!!!! Are these on your bucket list too? Our team is working to get there and we’d love to have you join us! David and I are also taking our first all expense paid trip to Shaklee headquarters soon for the new directors conference. We are so excited! 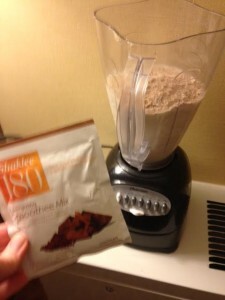 One thing that I love about Shaklee, is the quick and healthy breakfasts we can make in the hotel. My friend Chris brought her blender and milk for us, I brought the protein packets and a banana. Also had some chia seeds to add and we had a great breakfast in the hotel! 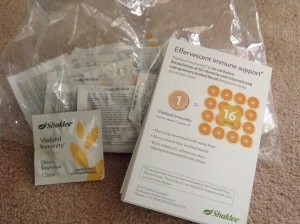 Whenever I attend a Shaklee conference, I am well taken care of. We had an abundance of Shaklee 180 energizing tea available throughout the conference as well as Shaklee 180 snack and meal bars on our tables. And each attendee also received this huge bag of one of my favorite products – Vitalized Immunity! this is great for fighting colds and I always take this when I feel something coming on to keep it at bay. It has the equivalent of 16 oranges worth of Vitamin C! If you’d like me to mail you a sample, please comment here and contact me privately with your mailing address. Also like my Facebook page and leave a comment. And I will share a sample with you while I have them! Also, a reminder of our Spring Special on the Get Clean Starter kit which ends on April 30th, 2015! Great savings and excellent safe products to use in your home! Comment if you’d like to take advantage of that too! Thanks for reading and have a super day! This entry was posted in Shaklee. Do you have any tips for novice blog writers? Thanks for your comment Delilah – what kind of blog do you want to have? Social? Business? Both? My best advice is to get yourself familiar with WordPress. It’s a great site for blogging and I would find someone that can help you get it set up who is really knowledgable. I took an online class and also hired my cousin to help with the final leg work on it. Hope this helps! And thanks for following my blog. My family always say that I am wasting my time here at web, but I know I am getting knowledge every day by reading such fastidious content.